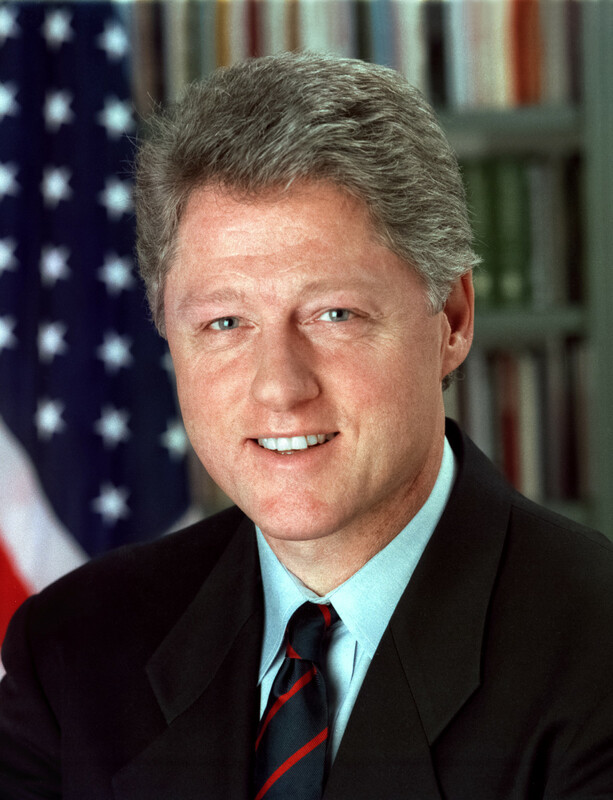 William Jefferson Clinton, the 42nd President of the United States, was the last American president of the 20th century. He was born in Hope, Arkansas as William Jefferson Blythe III on August 19, 1946. Three months before his mom gave birth to him, his biological father died in a car accident. 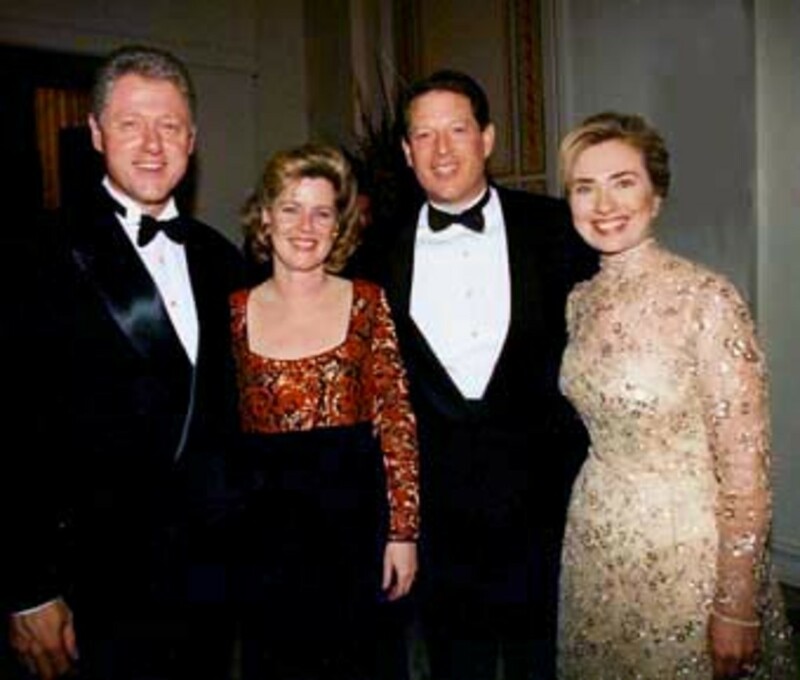 When he was four years old, his mother married Roger Clinton. Roger eventually legally adopted him and while in high school, William took his adoptive father’s last name. He grew up in Hot Springs, Arkansas, where he went to school, got excellent grades, joined the Boy Scouts, and played the Saxophone. By the time he was 16, he already knew he wanted to be a part of politics and looked up to the current President, John F. Kennedy. He was still in high school when he got to meet the man he idolized, JFK in the White House Rose Garden. In 1968, he earned a degree in international affairs from Georgetown University and won a Rhodes Scholarship to Oxford University in England. 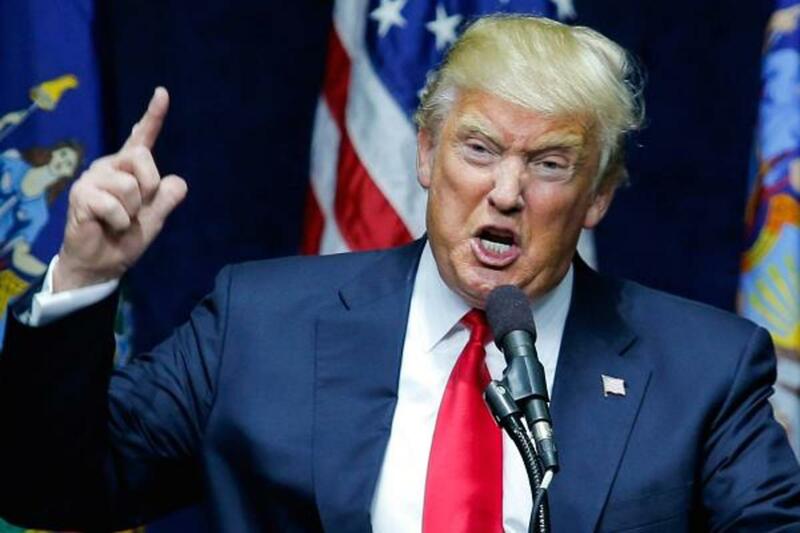 Although, eventually he returned to the United States where he became involved in the candidacy of George McGovern who was the Democratic candidate against Nixon in 1972. In 1973, he graduated from Yale Law School. After graduation, he taught at the University of Arkansas Law School, although he did not quit his dream of being in politics. While teaching, he ran but lost a seat in the House of Representatives, yet the loss did not keep him down. For it was that same year he married Hillary Rodham. In 1976, he won his first elected position as the Arkansas Attorney General. Two years later, he became Governor. 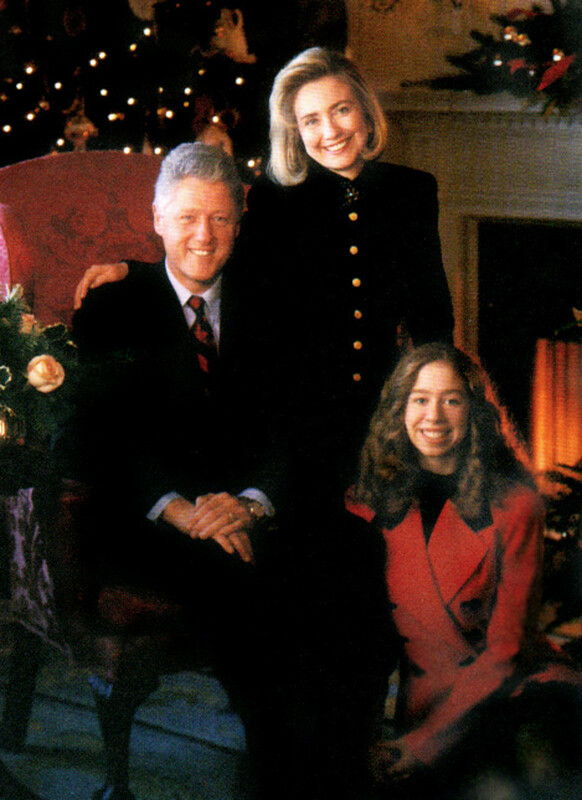 Then in 1980, five years after he got married, Hillary gave birth to their only daughter Chelsea. He did lose the governorship when he ran a second term, due to unrest in Arkansas when the federal government placed 18,000 Cuban refugees there. 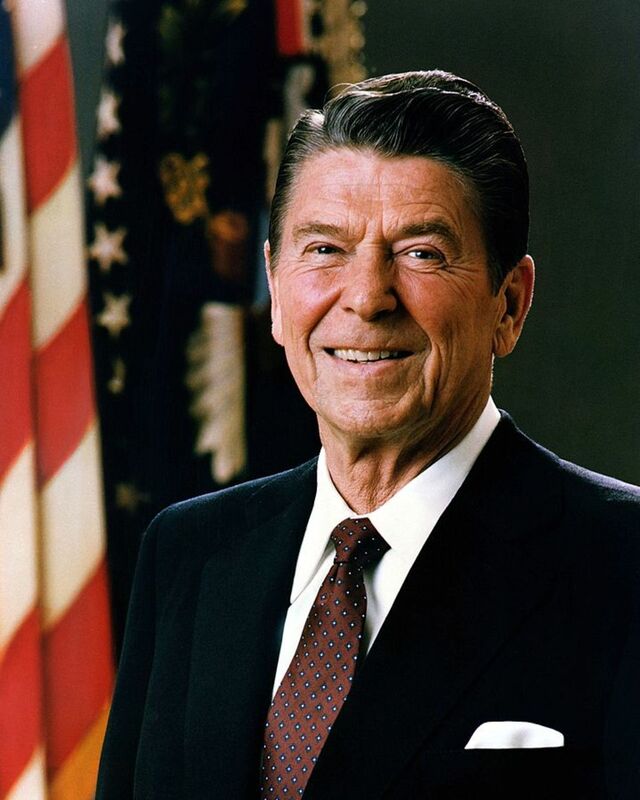 He was able to get back in office four years later, where he served for a total of five terms until the 1992 presidential race. Should a President's personal life be made public to all citizens? Yes, we need to know what type of character our President has. Only when it could affect the President's ability to lead our country. No, the President is a person and deserves privacy like everyone else. In 1991, he ran for the Democratic Presidential nominee against Ross Perot and the incumbent George H. W. Bush. When he won, he became the first Democratic president since Franklin D. Roosevelt to serve two terms and the first baby-boomer President. 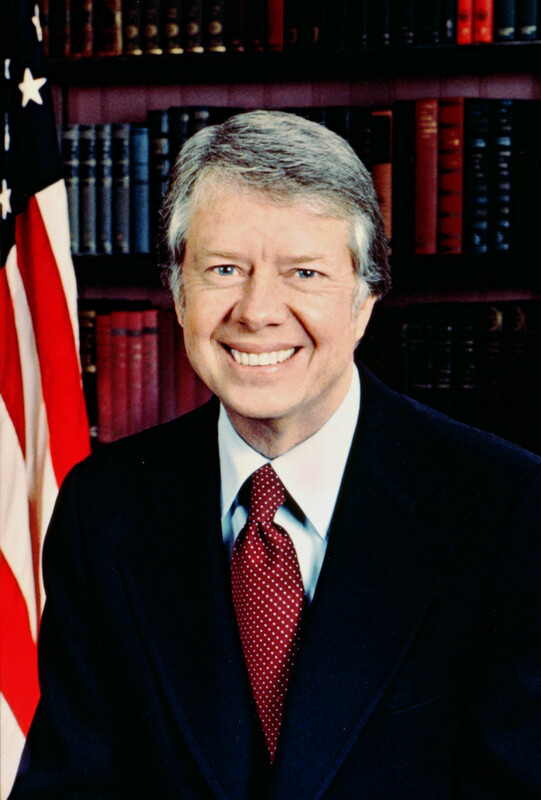 Having begun his presidency at the end of the Cold War, his first term proved popular. He allowed tax cuts for the poor as well as tighter gun laws such as the Brady Bill that required a waiting period for gun purchases. He also supported the Family and Medical Leave Act, which protected employment for those who needed to care for sick loved ones. He was able to boast the lowest unemployment rate in modern times, as well as the lowest inflation in 30 years. Crime rates dropped, welfare need was reduced, home ownership increased, and a budget surplus was achieved. He also had a lot of success in foreign affairs. He helped facilitate peace-keeping efforts in Bosnia, which was wrought with war. While the United Nations inspected Iraq for nuclear, chemical, and biological weapons, Saddam Hussein attempted to stop them. In response, Clinton bombed Iraq allowing the investigation to continue. He also traveled through Europe, Russia, China, Africa, and South America, campaigning for freedom throughout these nations. He also advocated for a stop to drug trafficking throughout the world. Unfortunately, his second term was filled with scandal and impeachment hearings. President Andrew Johnson, in 1868, is the only other President that was ever accused of misconduct while President. His most scandalous charge was an inappropriate relationship with a young woman who worked as an intern in the White House. He was tried in the Senate, and although he initially denied it, he later confessed. The Senate found him not guilty of the charges against him. He apologized for his misconduct. Unfortunately, his personal relationships overshadowed his hard work as president in his second term. He continued to be active with foreign policies. 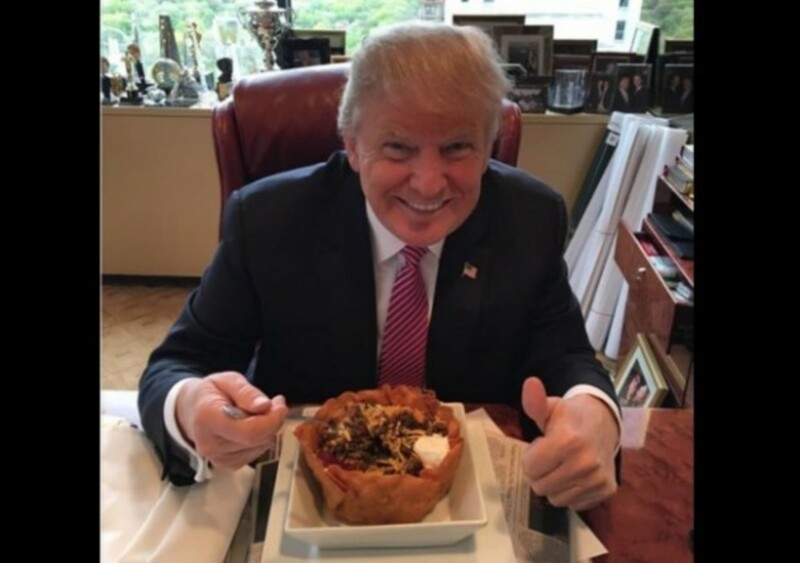 He pushed for trade agreements with Mexico and China, as well as withdrew Serb forces from Kosovo after 10 weeks of NATO bombing. 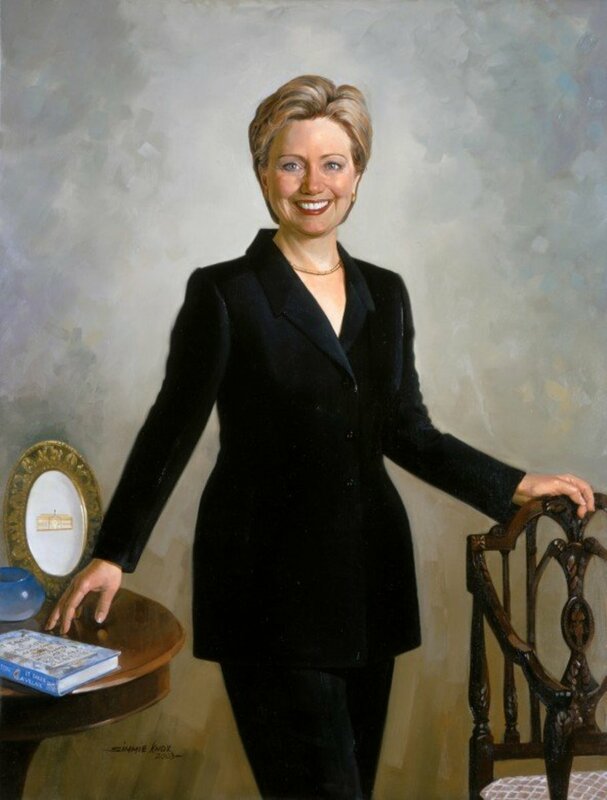 In his final year of presidency his wife, Hillary Rodham Clinton, tried for a seat for the New York U.S. Senate. After he left the White House, he remained active in politics. He established the William J. Clinton Foundation that faces global issues such as poverty and disease. He wrote an autobiography entitled “My Life,” which became a best-seller. He also supported his wife as she campaigned for the Democratic presidential nomination; once against Barack Obama who won and chose her as his Secretary of State, and later when she ran but lost against Donald Trump. He was born three months after his birth father died in a car accident. He was an outstanding saxophone player and even considered a career as a professional musician. Second President to be impeached, the first being Andrew Johnson. His memoirs were published in 2004. It is 957 pages and was entitled, "My Life." During Clinton's term was when the White House began its own website. "Bill Clinton Fast Facts." CNN. August 14, 2017. Accessed November 14, 2017. http://www.cnn.com/2013/02/01/us/bill-clinton-fast-facts/index.html. History.com Staff. "Bill Clinton." History.com. 2009. 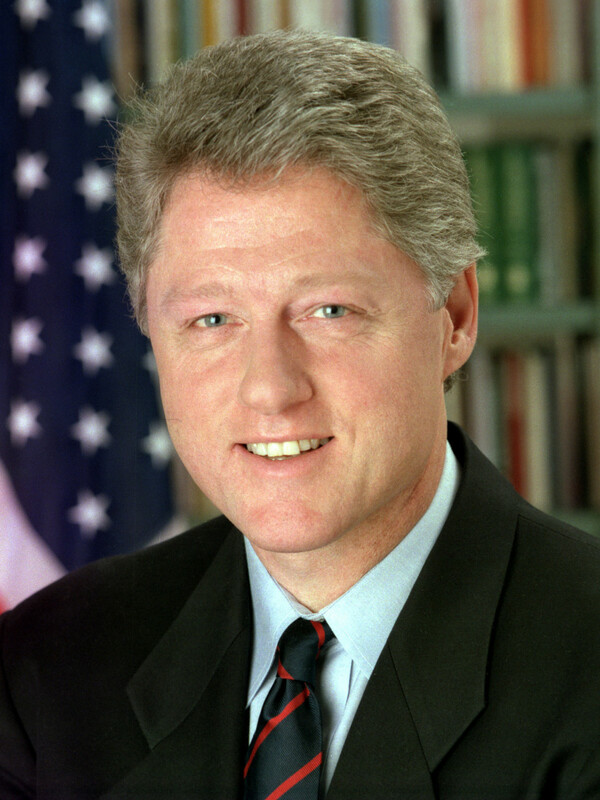 Accessed January 25, 2018. http://www.history.com/topics/us-presidents/bill-clinton. Bill Clinton did a lot. It's a pity he got involved with such a scandal. His denying it at first was very disappointing. Bill Clinton was an extraordinary president, very charming The one thing I regret with the man is that he placed the designs for some of our newest nuclear missiles in the Commerce Department, which were shortly thereafter acquired by the Chinese. Bush Jr;. quickly removed those plans when he was elected. His trade deals also helped grow the mega-giant Walmart chain, which is based out of Arkansas. No one had really heard of Walmart until that time across the country. Thank you for telling his story so well and with skill.